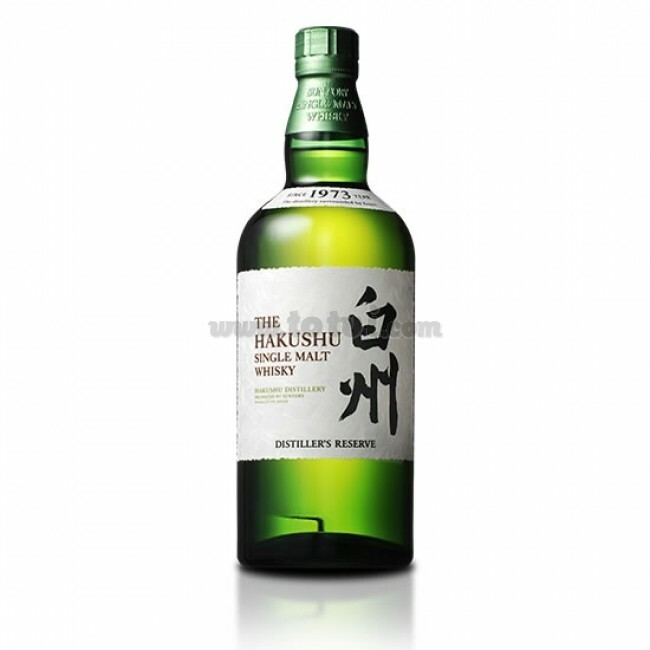 The Hakushu Distiller's Reserve is a fresh Japanese single malt whiskey with citrus notes. A whiskey with a refreshing and very subtle mouth finish that will surprise you. The Hakushu Distiller's Reserve is a fresh Japanese single malt whiskey with citrus notes. Light gold color. On the nose aromas of mint, melon and cucumber. In the mouth we perceive notes of yuzu and citrus fruits such as grapefruit and lemon thyme. It has a refreshing and subtle finish on the palate.